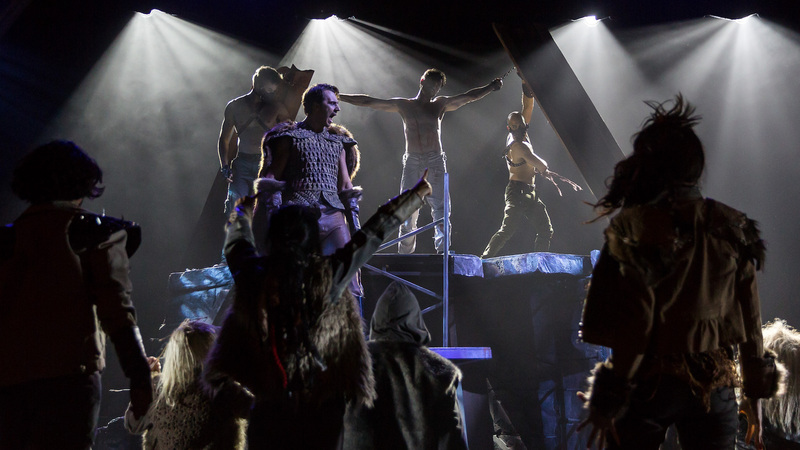 CLOC Musical Theatre revives Melbourne favourite Jesus Christ Superstar in an intense, imaginative, intelligent production. 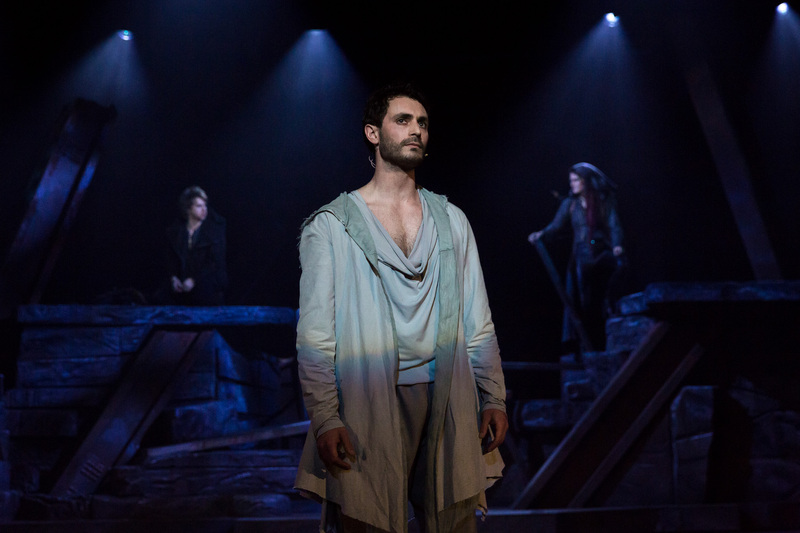 On par with the conceptual update of an opera, director Shaun Kingma has brought a unique vision to Jesus Christ Superstar, allowing the familiar work to be seen in a fresh and compelling light. This concept has been fully realised by a top creative team and is performed by a tightly focused, supremely talented cast. 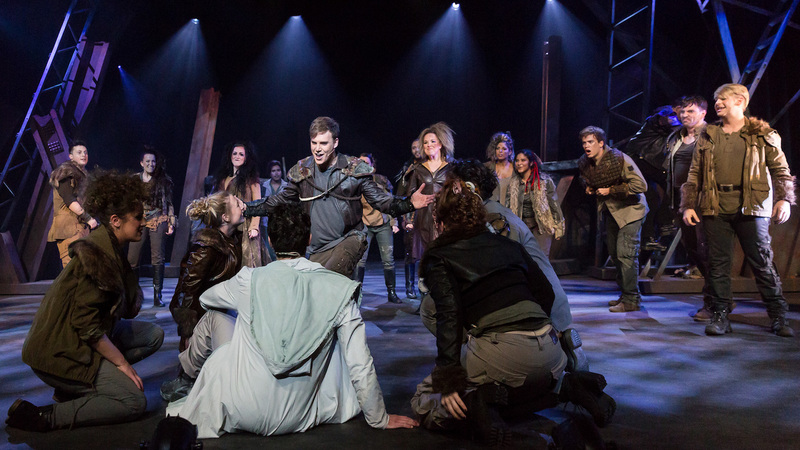 As indicated by the marketing phrase “A New World – A New Beginning,” the production is set against a post-industrial landscape of fractured metal and frightened people. Leading a band of underground rebels, Jesus is vilified by high Priests who fear losing their power. As well as maintaining a high level of visual interest by choreographing almost constant scenic, actor and lighting movement, Kingma has also crafted a backstory for the central characters, unfolding a series of bridging flashback scenes that show how Jesus, Judas and Mary originally joined forces as children. A hallmark of Kingma’s direction is the consistency of performance style and performance level from the large cast. 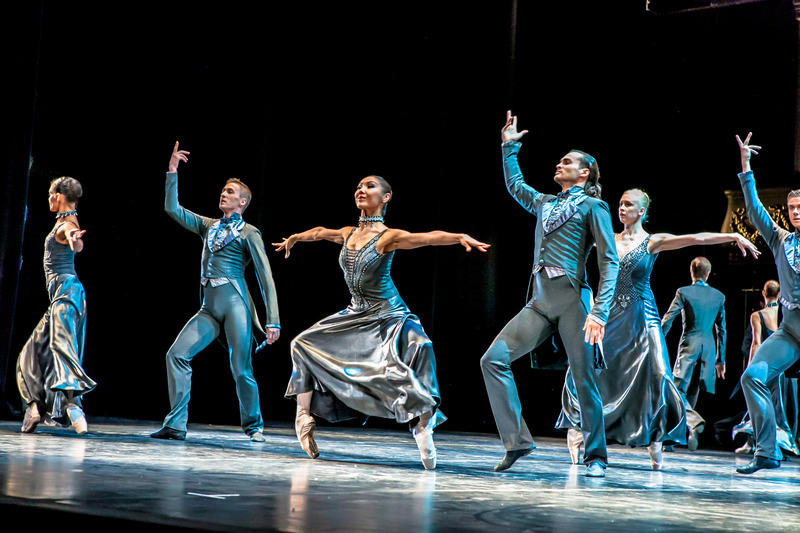 All on stage are clearly tuned in to the concept, and there is an abundance of interesting relationships and connections to observe. Key scenes that are staged particularly well include Judas’ death, the 40 lashes and the crucifixion itself. Kingma has brought out an affecting, raw intensity from the actors in these scenes that is, at times, almost painful to watch. Kingma also contributed the darkly dangerous looking set design. The intricate, continual movement of the scenery is controlled with typical CLOC accuracy by the stage crew, under the watch of stage director Paul Belli and stage manager Sandra Davies. Brad Alcock’s lighting design is fundamentally linked to the scenic design. Alcock adds significantly to the ever-evolving stage picture, creating walls of light, dappled texture and also inky blackness from which lepers, traders and solemn priests appear. Kingma is supported by choreographer Tamara Finch, who judiciously contributes elements of dance while helping to fill the large stage space with purposeful and engaging movement. Victoria Horne has set aside her flair with sequins to design gritty, layered costumes that bring the re-imagined world to vivid life. With just a monochrome palette of dark, neutral tones, Horne creates ongoing visual interest with rich fabrics and detailed accessories. Such is her flair for furs, horns and armour that CLOC should firm up Horne’s contract in case she is snaffled away by Game of Thrones. Musical director Tyson Legg, hidden away in the fully enclosed orchestra pit, leads 15 musicians in a sharp, electric rendition of the well-known Andrew Lloyd Webber score. Legg also contributes an eerie soundscape for the interpolated flashback scenes. Ensemble harmonies are very well prepared, and it is wonderful to hear them sung by a cast that is far bigger than a professional production could afford. Legg and Kingma are blessed with a lead cast with incredible voices. While there is an excitement to hearing powerful rock vocals, there is a slight loss of impact when too much of the music is performed by the lead singers at blazingly loud levels. Some vocal light and shade, so to speak, may have made for a more balanced vocal execution. Daniel Mottau is an extraordinary find as Jesus. Ruggedly handsome yet also capable of transmitting the purity and serenity of Jesus, Mottau is completely believable as a troubled, magnetic figure, and his singing is superb. 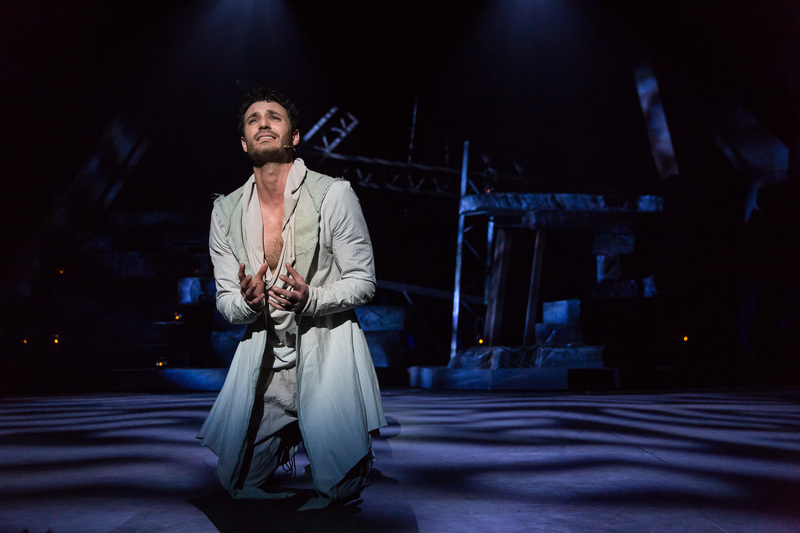 Scott MacKenzie throws himself completely into the role of Judas, creating a blaze of energy whenever he is on stage. While MacKenzie occasionally puts power ahead of diction in his vocals, his dramatic intention is always clear. MacKenzie’s interpretation of the unsettled character creates sympathy and understanding despite the tragic betrayal that transpires. Katie Weston skillfully balances strength and vulnerability in Mary, presenting a capable, independent woman who is torn by her perceived weakness of romantic feelings. A poised performer and tender singer, Weston sings well-known hits “Everything’s Alright” and “I Don’t Know How to Love Him” beautifully. Ian Andrew is another terrific discovery in the cast. Hailing from Adelaide, Andrew makes a memorable impression as solemn leader Pilate. At his best when singing in a softer, more controlled voice, Andrew is an accomplished actor, contrasting his powerful physique with the self-doubt and understated angst of Pilate. Henry Shaw has the startlingly deep bass voice to convey the pervasive power of high priest Caiaphas. With a back-story to explain his character’s Wotan-like eye patch, Scott Hili brings additional depth to glowering high priest Annas. 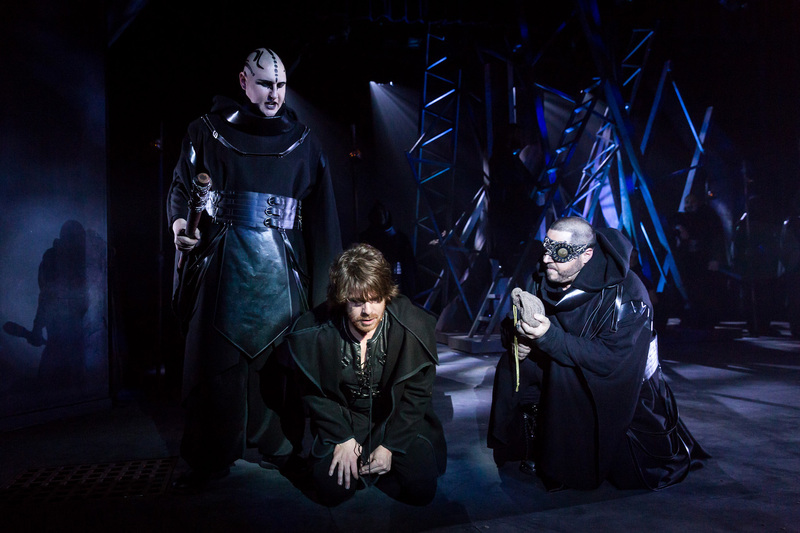 The darkness of this production even extends to “King Herod’s Song,” which is presented as a confronting scene in which aggressive despot Herod hobbles about on his artificial metal leg. Herod and his minions breathe from gas masks and clearly exist in a realm of their own away from the other tribes. Adrian Carr is ferocious as Herod, completing the dastardly characterisation with a wicked twinkle. Jesus Christ Superstar is performed all too rarely, and quality this good is even rarer. Attendance is highly recommended. 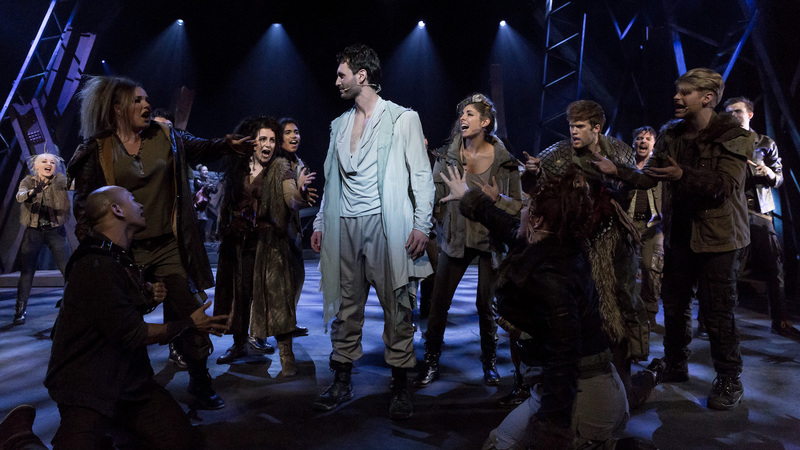 Jesus Christ Superstar plays at National Theatre, Melbourne until 22 October 2016. Was a wonderful show.. very high quality production and the singers were amazing.. loved it and well worth seeing. I don’t use a hearing aid, so leaving the batteries on the kitchen bench wasn’t the cause, but I couldn’t understand more than every fifth word in the first half, in fact I wondered if it was two different musicals splitting the cost of the sets. The second half had a lot of screaming, specially the crucifixion scene, probably reasonable on reflection. My special thanks go to my parents for sending me to Sunday School in 1954, I could follow that bit of the plot. 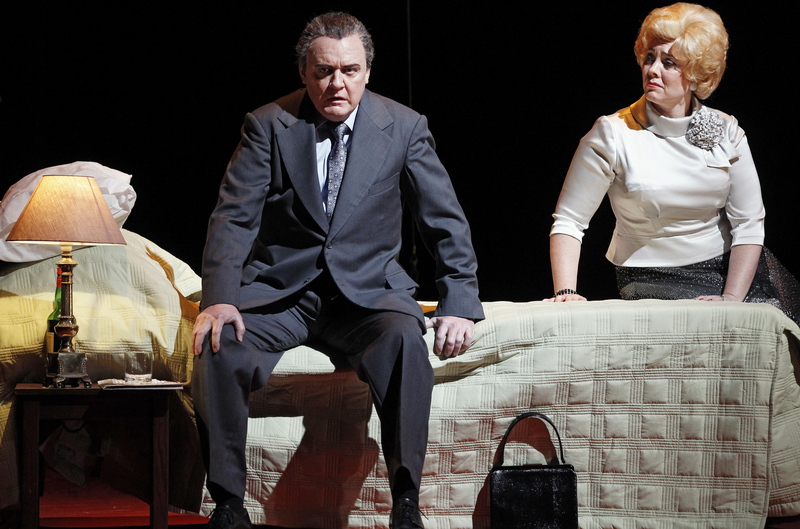 I saw this production on Thursday evening and it was….in a word…..extraordinary. 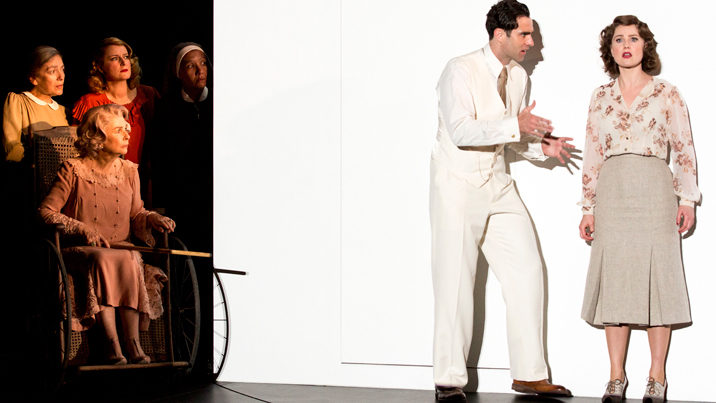 The acting, singing, set design, choreography, music and energy were all exceptional. This was my first attendance at a Cloc theatre production and I went along not knowing what to expect. It was outstanding! If you want to see unbridled talent in a seamless production, you need to see this before it finishes. Congratulations to all those involved in its staging. what on earth are the 40 lashes? did you even listen? there were 39! 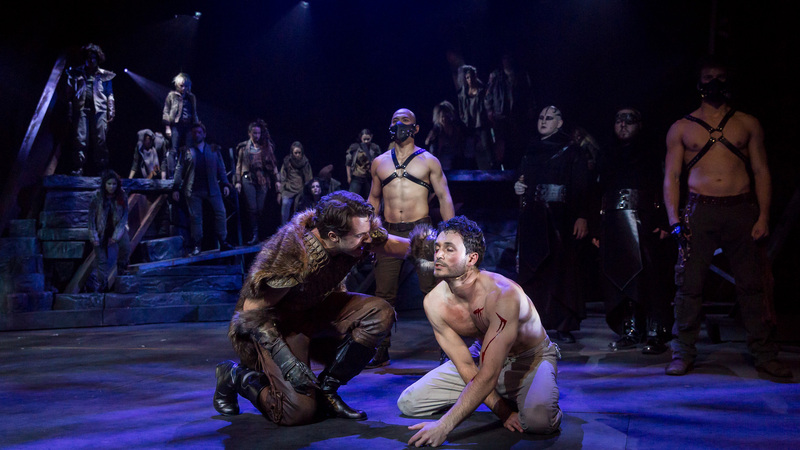 overall i enjoyed this production, but i wan’t entirely keen on the post apocalyptic/medieval/Gothic portrayal, to me JCS is always quite modern. i was hoping for a bit of bright colour in 2 parts of the show to contrast with the typical monochrome they had, but no. King Herod to me should have been dripping in jewels and wealth and exorbitant life, but instead seemed some sort of war veteran with perverted power. Even the final song Superstar was still all clothed in Black. Other productions I’ve seen, live or filmed, often had Judas showing up in white or red, like an angel or a devil depending on the interpretation. the singing was mostly fantastic, but the Jesus just couldn’t hit the high notes in Gethsemane with any real power, nor was he entirely convincing in his distress or anger in the temple and leper scene, and he seemed to spend a lot of time lying on the floor. Judas voice was fantastic for that role although sometimes you lost the words, but as someone who has seen and listened to this so many times it didn’t bother me personally as i knew what he was saying. Peter had a wonderful voice, clearly classically trained, and Pilate had a good voice, but when he and Jesus were singing to each other, close together, there voices were so similar you couldn’t tell who was singing unless you already knew the show. adding the backstory with the three as kids makes no sense biblically, as none of them met each other until Jesus 3 years that seemed like 30. whilst the rock opera isn’t necessarily biblical, it does present all of the main points of that story correctly and adding in the children was odd. however it did add depth to their relationship, and i found myself really feeling for Mary when she cried after Judas committed suicide, her best friend betrayed her other best friend and killed himself and now the other one will most likely die as well. it certainly added depth to a character i never particularly enjoyed. The highlight was the Temple scene followed by the lepers. the man who started the temple, so slowly and sinister, with the drums accenting the silence in between was exceptional. then the lepers crawling out of the light up to Jesus and climbing up to him in desperation was great, and i’m certainly glad they didn’t fall into the temptation to use green lighting for that scene as many productions have before. while i may seem to have many complaints, that”s just because i love this show so much and have seen so many versions that i have a very clear idea of what my perfect production of this would be. But i did overall very much enjoy this, and i’m glad to see that they took risks to perform it their way.